Federal law enforcement officials have launched a criminal investigation of New Jersey Gov. Chris Christie and members of his administration, pursuing allegations the governor and his staff broke the law when they quashed grand jury indictments against Christie supporters, International Business Times has learned. Two criminal investigators from the U.S. Department of Justice on Wednesday interviewed the man who leveled those charges, Bennett Barlyn. He was fired from the Hunterdon County prosecutor’s office in August 2010, and subsequently brought a whistleblower lawsuit against the Christie administration, claiming he had been punished for objecting to the dismissal of the indictments of the governor’s supporters for a range of corrupt activities. …The investigators are examining what state and federal laws may have been broken in the process. Barlyn said the investigators appeared to be at an exploratory stage, with no certainty that criminal charges would ultimately be filed. So, I guess my take-away is that Christie-gigging has truly bipartisan appeal. Nobody likes the man. *Christie in recent days has seemed to be his own circular firing squad. In such moments, it would seem to me to be the wisest course to let your rival keep enjoying the carnal knowledge of his own domesticated flightless fowl. 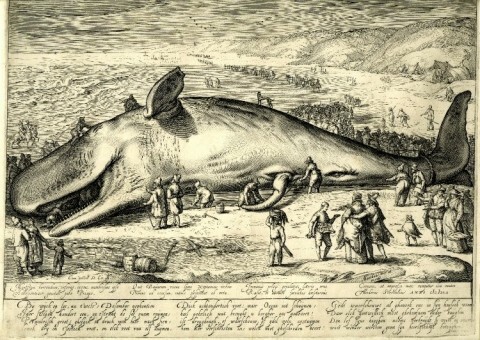 Images: Jacob Martham after an engraving by Hendrik Goltzius, Beached Whale, 1602. 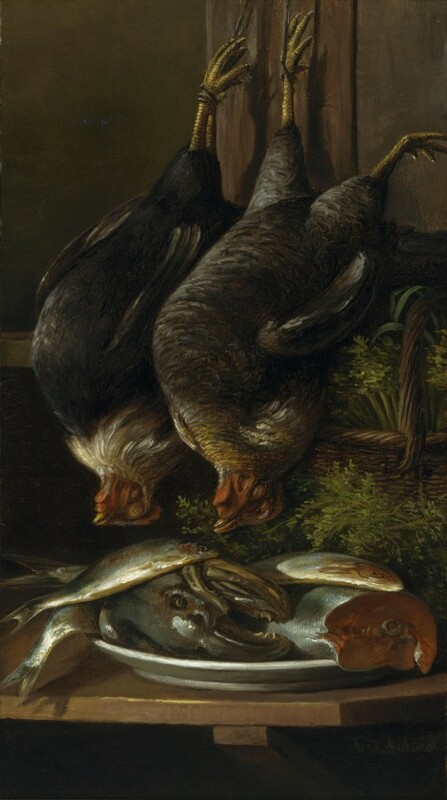 Ferdinand Richardt, Still Life With Chickens and Fish, before 1895.